Now you can listen to the world’s largest library of audiobooks on your Kindle—anytime, anywhere, while traveling, cooking, or when you just want to rest your eyes. Pair with Bluetooth to move seamlessly from reading to listening. 6” display with E Ink Pearl, 167 ppi, optimized font technology, 16-level gray scale. 4 GB holds thousands of books or a dozen audiobooks; Audible audiobook capacity based on average Audible audiobook size. 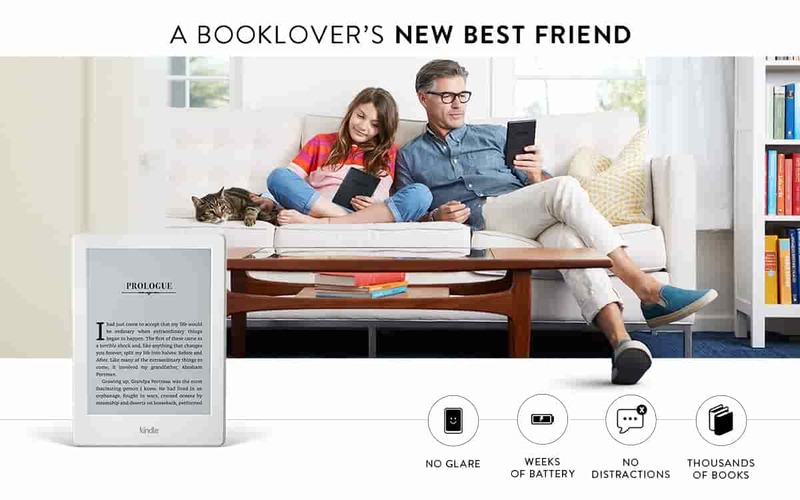 A single charge lasts up to four weeks, based on a half hour of reading per day with wireless and Bluetooth off and the light setting at 10. Battery life will vary based on light settings, wireless usage. Audible audiobook streaming over Bluetooth will reduce battery life. 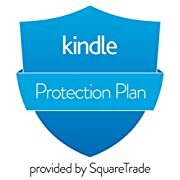 Quick Start Guide; Kindle User Guide (pre-installed on device) [PDF]. Additional information in multiple languages available online. 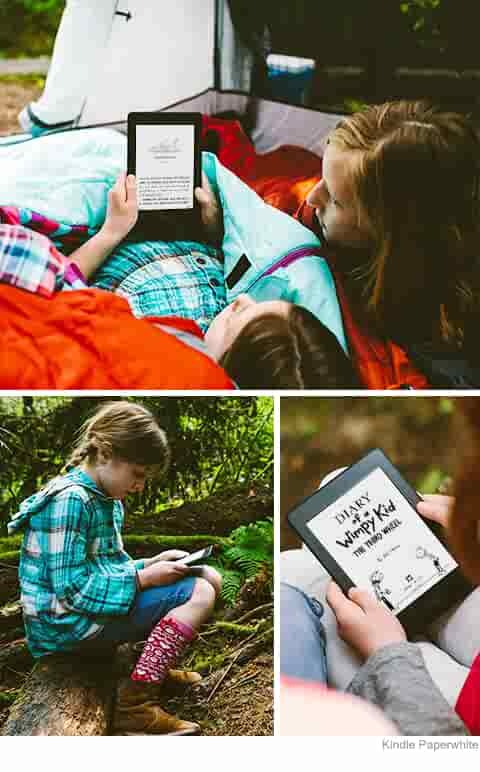 Kindle 8th Generation - 2016 release. The Kindle E-Reader is a GREAT substite for books, AS LONG as you know what you’re getting. Please listen carefully: This Kindle DOES NOT have a backlight. I REPEAT, you will NOT be able to use this Kindle in the dark. Got it? Okay, good. 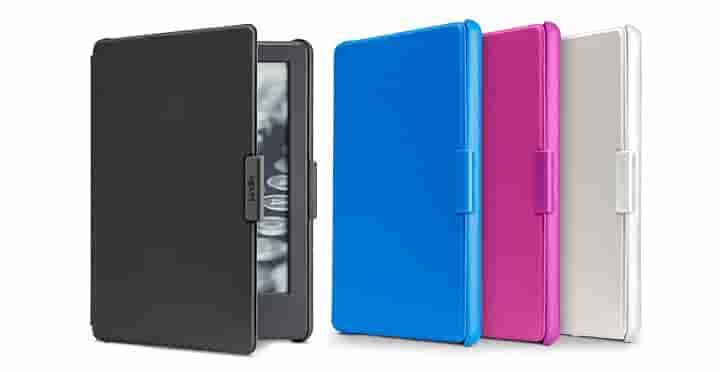 Now that that’s out of the way… what you do get with this kindle is a lightweight completely portable way to store thousands of books. If you enjoy reading as much as I do, this is a dream come true! The kindle is lighter than my iPhone 6s Plus but still feels sturdy. 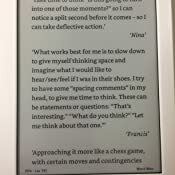 Reading on the kindle looks just like reading on a book in my opinion, and you can easily adjust the font if you find the default font to be too small. Perhaps the coolest feature of the kindle (in my opinion) is the battery life. The battery will last for WEEKS without needing to be charged. 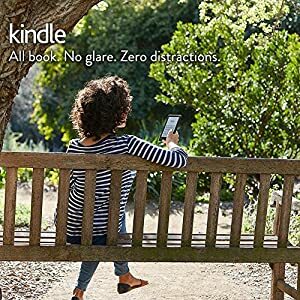 This means you can store your kindle away, and pick up where you left off weeks later without having to charge your device, just like as if you were reading a real book. The only other gripe I have with the Kindle is the fact that Magazines are NOT compatible with this device. That means if you bought a nice shiny Kindle Unlimited subscription like I did, you might not be getting the full experience. I may end up canceling my subscription because of it. 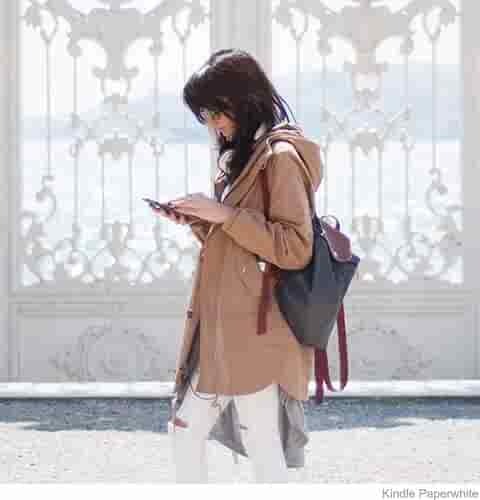 All in all, the Kindle is a great E-reader for bookworms all over. Just please make sure you know what you’re buying. 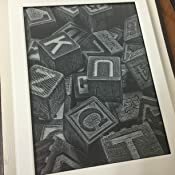 This is not a high-end tablet… It is a black and white E-reader which serves only one purpose; To display books. I have one of the original kindles, and it finally starting to fall apart (dropped it one too many times). So I wanted to get another one just like it... 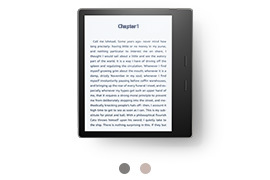 I did not want the back-lighted versions of the kindle (i.e. kindle fire) as I've heard that they can be hard on your eyes. 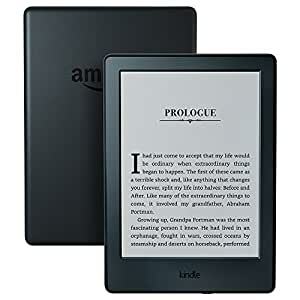 I was disappointed that I could not get the same style as my old kindle, but I purchased this one because it seemed to be the closest I could get to what I had and liked. To my surprise, I like it even better than my original! The screen is the same size, but since it is "touch" controlled rather than having a keyboard, the actual size is smaller and lighter weight than my old kindle. It is the perfect size to stash in a purse or backpack. 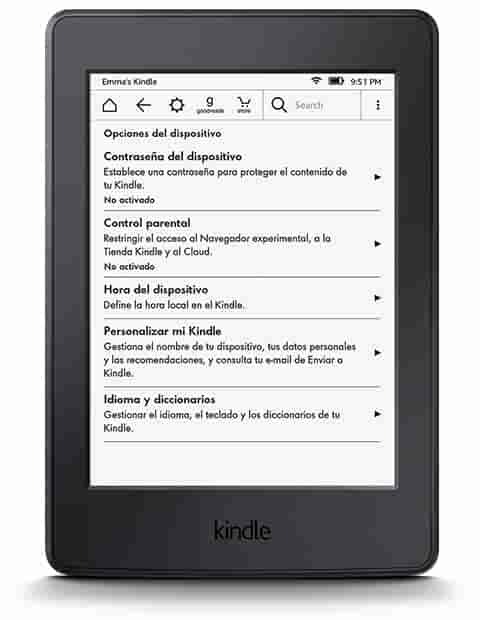 If you liked your old kindle, and just want to replace it, you will be very happy with this model. 5.0 out of 5 starsPerfect for academics! I was so shocked! So, I was going through a book for my PhD dissertation, highlighting parts for further citations in my project. When I was done with it, I realised that instead of scrolling back all the pages of my e-book, looking for the highlights, I can just export them to my e-mail in PDF file. This is life changing for me! I have always preferred paper books to e-books, but this option is a miracle. It saved me hours of work! I am a very happy customer! There are sadly a lot of negative reviews on here, so I though I would add my positive one. I had a second-generation Kindle many years ago, and it has since stopped working. I finally decided to buy a new one. 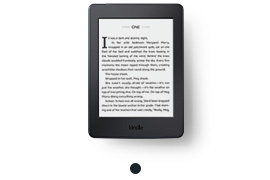 I chose the basic Kindle because that's exactly what I wanted -- a bare-bones e-reader. I have no need for a tablet or anything of the sort. This Kindle delivers on that front in every way possible. At first, I thought I would miss the page turn buttons, and dislike the touch screen. However, I have been delightfully surprised. Tapping the edge of the screen to turn the page is incredibly easy and less intrusive than pushing a button, which was always a nice little jarring reminder that I wasn't, in fact, reading a paperback. The small, quick tap of my thumb on the edge of the screen has become almost like a reflex and I don't notice it anymore; it feels natural. I do slightly miss the metal backing of the older Kindles; it made them feel a bit sturdier, whereas this basic Kindle is just hard plastic. 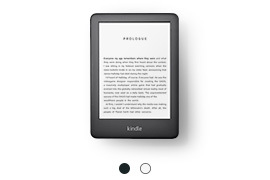 However, I suspect that using a metal casing would up the price considerably, and I feel that the cheaper price of this basic Kindle far outweighs that slight drawback. I bit the bullet and bought one without the special offers. 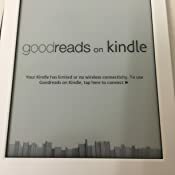 I do not want ads intruding my Kindle experience, even if they only show as the screensaver or on a bar across the bottom of the Home screen. It is just distasteful to me, and the extra 30$ was worth it to me to avoid the ads. I do not need or want a case for my Kindle. I do not like to read with a case on, and it would be cumbersome to remove my Kindle from its case every time I want to read. That being said, this version of Kindle does seem quite fragile, as mentioned before, so when I carry it with me in my purse, I am covering it with a knit beanie hat for now. Eventually I will buy a small soft pouch to store it in; I have seen them for sale here on Amazon. Even though the Kindle seems fragile, the size and weight of the device is a definite advantage while reading. It is so comfortable to hold that it just disappears in your hand and you forget that you are reading from an electronic device. It really is a cool experience. As to the complaints of the screen being dim--it is no dimmer than previous generation Kindles. No, there is no back light. It looks just like a printed page, and can be read easily in all lighting conditions -- whether by lamp or by sunlight. If you find that you are straining your eyes, you can simply adjust the size, font, and spacing of the text to something that better fits your eyes. I personally do not read in bed with the lights off -- I fall asleep while reading like that. 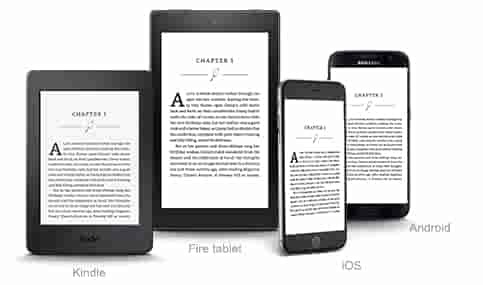 However if you are a frequent bed-time reader, you will want to get the Paperwhite, Voyager, or Oasis models. 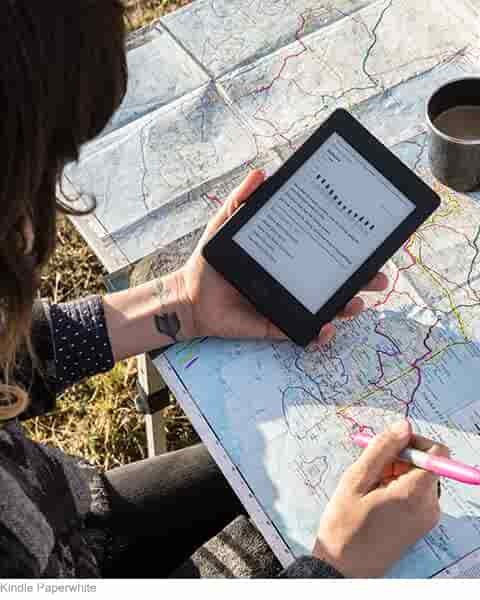 If you've never had a Kindle before, why should you get one? Simple...anyone who loves to read should get one. Now, which model is your personal choice; I have already explained why I love this one. Amazon has millions upon millions of books that are able to be purchased and downloaded to the device. A good fourth of those available are free, and another good chunk are $2 or less. So if the price of the device itself makes you hesitate, it can easily end up paying for itself if you read a lot of free or cheap titles. 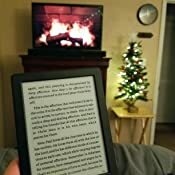 More and more titles become available for Kindle every day -- when I got my original 2nd Gen Kindle nine years ago, the Harry Potter series was unavailable to Kindle. Now with my new device, it is. The Half-Blood Prince is the first book I downloaded for my new Kindle, since that is where I am at in the series right now, and I could not be happier. They even preserved the chapter illustrations for the e-reader format. Kindle has the ability to store thousands of books, so you shouldn't have to worry about running out of storage. If you do, however, the overflow can be stored on Amazon's Cloud service, so you never have to worry about giving up any of your old favorites. Kindle also gives you the ability to highlight passages, make notes, and bookmark pages. Your Kindle will also always remember what page you left off at, in every book that you have stored on it. 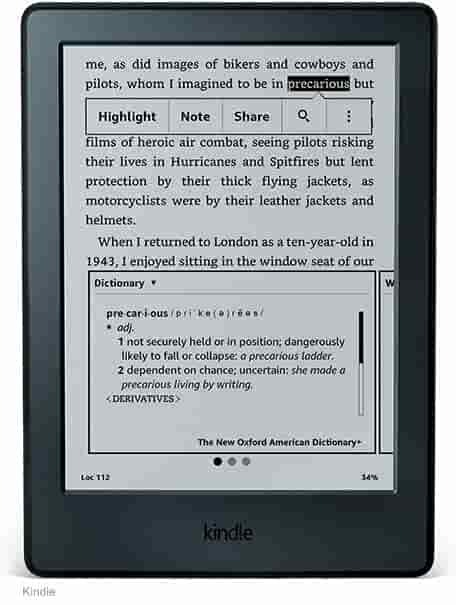 Kindle also has the ability to look up words in the dictionary or thesaurus. It really brings reading to a whole new level. Well, that about sums up my review of this model of Kindle, and Kindles in general. To put it simply, this Kindle does what it is advertised to do, and does it, in my opinion, flawlessly. If you want a tablet or a reader with a back light, stay away. 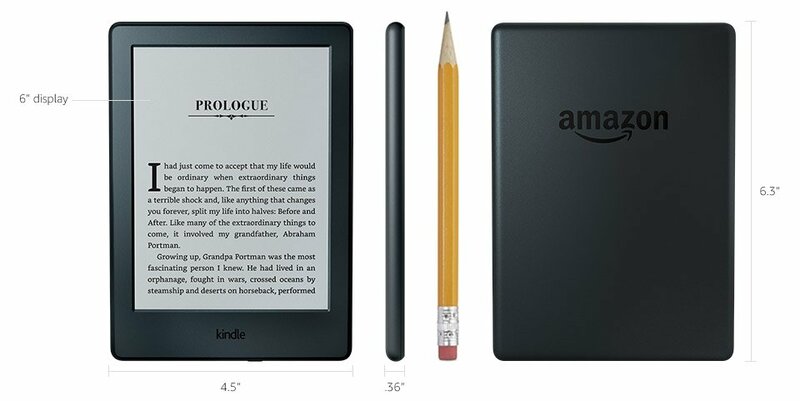 If you are new to Kindle and/or want something basic, this is a great device to start with. Limited time offer. Get 3-months of Kindle Unlimited for $9.99. 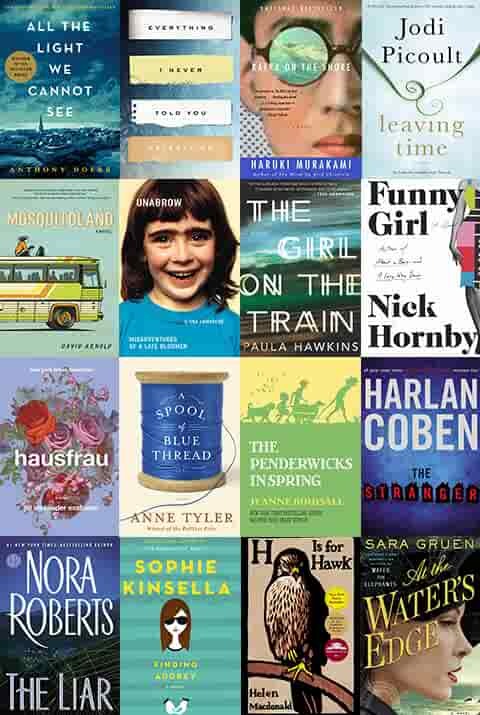 Enjoy the freedom to explore over 1 million titles including Harry Potter, The Lord of the Rings, The Handmaid’s Tale. Available for customers who don’t have multiple prepaid Kindle Unlimited memberships. Some colors will ship after your Kindle arrives. See the latest shipping dates at checkout. 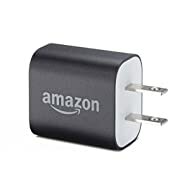 Your Kindle comes with a USB charging cable, but a wall charger is not included.